Lord of the Rings fans, I know you're going slightly gaga right about now ... What's better than one ring? Well, two (ear)rings of course! ... I felt the same when I saw that the classic cover of Lord of the Rings among Alicia Crafts' offerings! The detail work of this classic cover is pretty amazing -- see the faux leather cover in dark blue, the gilt-edged pages, the tiny print of the spine and the map on back, and yes, even the golden ribbon bookmark. Here's an even closer look! 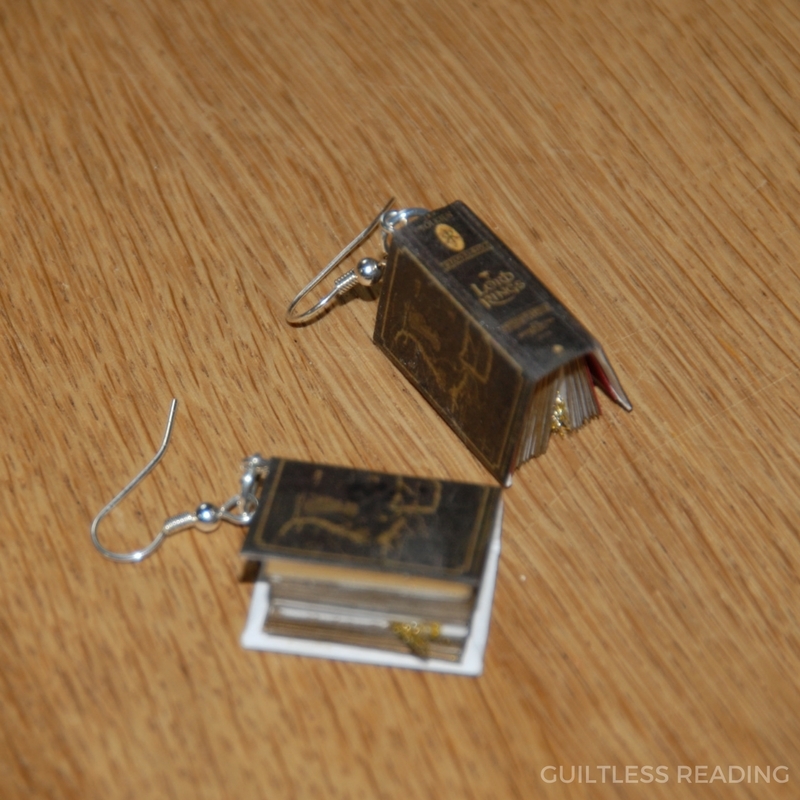 Each book earring is handmade, open up with individual pages. These super mini charms are a teensy 1" x 3/4″. 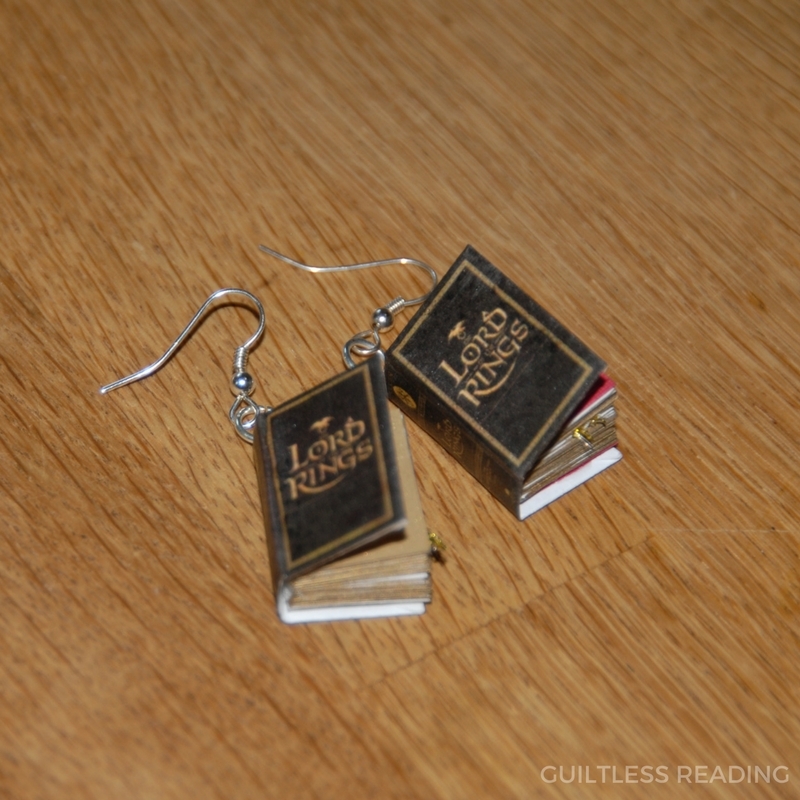 I am pretty sure that anyone wearing these LOTR earrings will get heaps of compliments, queries on their reading life, and plenty of LOTR questions. 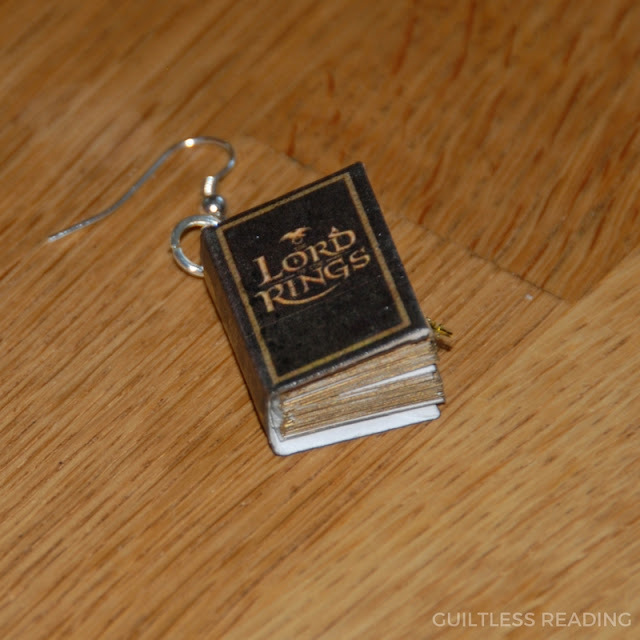 A great conversation piece and a wonderful gift for LOTR diehards! 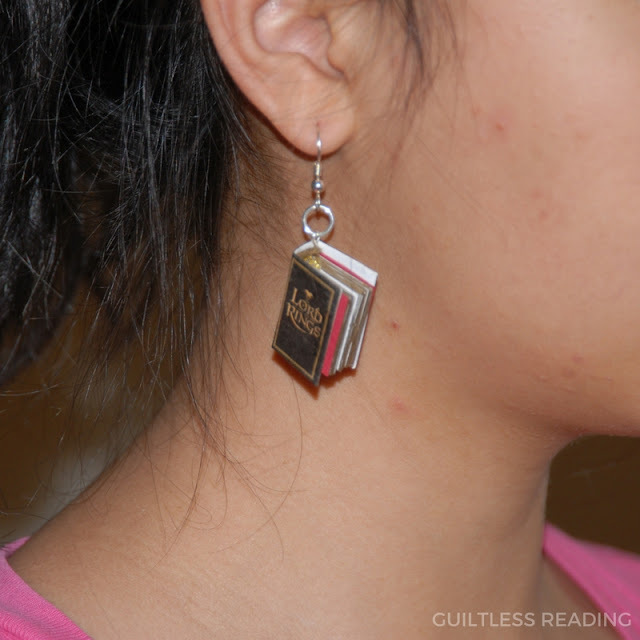 These earrings are meticulously handcrafted by Alicia of Alicia Craft, who is also a book blogger (go visit her blog Awesome Book Assessment). Thank you, Alicia, for making such beautifully crafted bookish jewelry. I'll always treasure my two LOTR (ear)rings!